When we first got a look at the goosebump inducing teaser for the new film from Alfonso Cuarón ("Children of Men"), the unanimous public reaction was ....Holy Damn. Now Warner Brothers gives us a lengthy look at the film that's going to have you biting off all your nails and climbing up into your seat. Academy Award® winners Sandra Bullock (“The Blind Side”) and George Clooney (“Syriana”) star in “Gravity,” a heart-pounding thriller that pulls you into the infinite and unforgiving realm of deep space. The film was directed by Oscar® nominee Alfonso Cuarón. 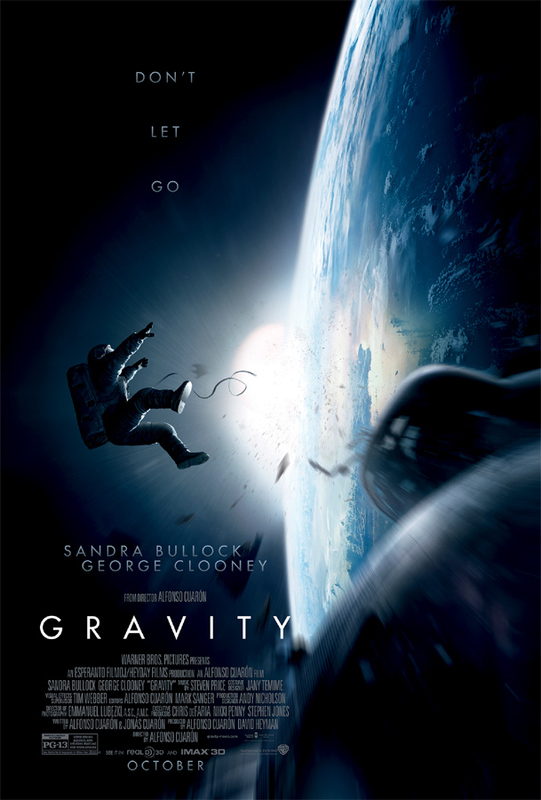 Warner Bros. Pictures presents an Esperanto Filmoj/Heyday Films production, an Alfonso Cuarón film, “Gravity.” Opening October 4, 2013, it will be released in 3D and 2D and IMAX®, and will be distributed worldwide by Warner Bros. Pictures, a Warner Bros. Entertainment company. This film has been rated PG-13 for intense perilous sequences, some disturbing images and brief strong language.